A top British chef, an actor, TV presenter, businessman and a hotelier. Kevin Woodford holds many gifts and talents and being a spokesperson is one of these. He has great expertise in all topics and certainly has his unique personality shining trough. If you're interested in a chef for any radio or TV interviews please get in contact with us. 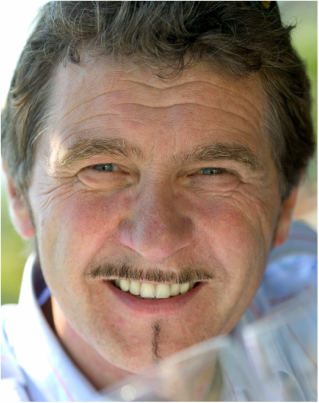 Kevin Woodford (born 4 June 1950) is a Manx celebrity chef, actor, television presenter, businessman, hotelier and former restaurateur. 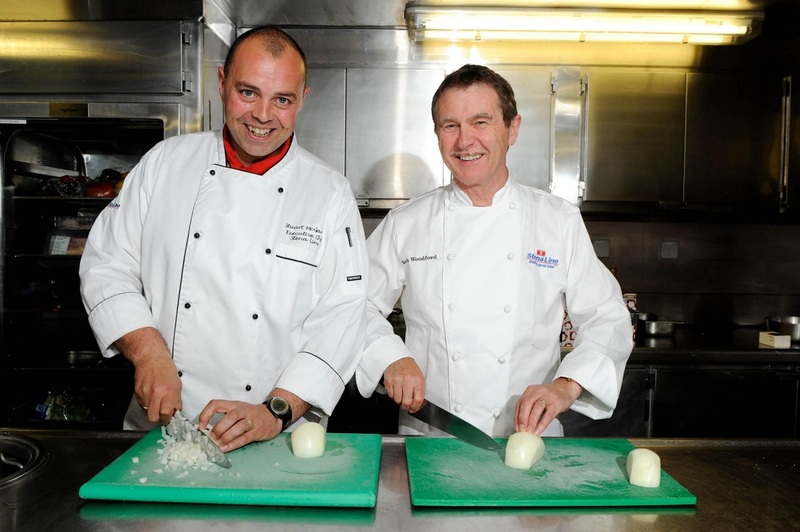 He originally trained as a chef and then moved into education as a lecturer in professional cookery. After gaining a higher degree in the Management of Organisations he returned to education as Head of Hotel and Catering Studies at a Granville College in Sheffield. He was a Senior Examiner for City and Guilds Professional Cookery Examinations, judge at several International Cookery Competitions and worked as a hotel and restaurant consultant for various national and some International organisations. Kevin is currently working with Stena Line to develop menus for their 7 Irish Sea passenger ferries. Kevin is also helping train their galley chefs and on board service managers as part of a package developing sales and improving the customer experience. His first TV appearance was on This Morning, and this was followed by him presenting The Reluctant Cook for BBC2, followed by Surprise Chefs for ITV. He then became a regular chef on the BBC cookery show, Ready Steady Cook, as well as presenting Can't Cook, Won't Cook for which he won a National Television Award for Best Daytime Presenter. More recently, he presented and co-produced a 104 part series of a CBBC cookery show, Planet Cook in which he played "Captain Cook". It later aired on Channel 4 and the series was first shown coast to coast in Australia and was a huge hit. He has also presented Songs of Praise and the live topical debate magazine show The Heaven and Earth Show. He has also acting roles in Doctors (Robert Hale), and in Hollyoaks (Watkins) and acted alongside Danny LaRue in Pantomime. He travelled the world as Jill Dando's co-presenter on BBC Summer Holiday and Presenter for BBC's Holiday programme for 5 years. For BBC's 'Fasten your Seatbelt' series he demonstrated his ability as a New York taxi driver, entertainer onboard 'Oriana', deck hand on a tall ship, and concierge at the Mandarin Oriental Hotel in Hong Kong. He presented Big Kevin, Little Kevin for the BBC, has written and published 7 cookery books and is the only chef in Europe to have had his own recipes used on a set of Isle of Man postage stamps and was the recipient of 'This is Your Life' for BBC.